There's a very early memory of the first time I tried to draw my dream house. I believe I was about six years old and I was not entirely at ease with our surroundings. 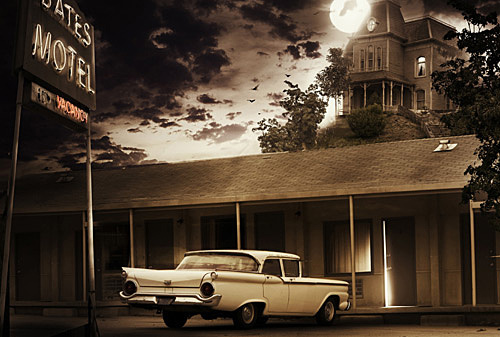 We lived in a motel. We had just moved to the U.S. from Greece. My parents were going to work for my Uncle at his restaurant in Hillside, Illinois. We had spent some time living with him and my aunt, but it was getting a bit uncomfortable. My uncle's mother was also in the mix--she was a lovely woman who believed that Johnny Carson was her boyfriend and lived in the television. She would tell me how she saw him enter the TV every night to speak to her. She didn't understand a word of English. She also thought that the pool her daughter-in-law had insisted upon, was possessed with evil spirits and I should NOT. GO. NEAR. IT. It was ominous and felt true coming from a woman who was always dressed in black, including a black shawl over her head, in order to mourn the loss of her husband. Still, Johnny was her man and he showed up on time, every night. Except weekends. She said he golfed. It was hysterical to hear a very Greek woman who could barely say the word "hello" say, "golf." The situation at my aunt and uncle's was getting rough. We all worked at the restaurant together and then we all lived together. It wasn't a good mix. Since my parents couldn't afford to lose their jobs at the restaurant, they knew nobody else in America and their English was not that great, we moved into a motel until they could find an apartment. They paid by the week and I think we were there for appox. 5-6mos. Not a long stretch of time, but just enough to create some interesting family "good times." There wasn't anything remotely charming about our new digs. No pool. It was filthy. Roaches were forever present. There was constant street noise, which was preferable to the other noises and conversations coming from the adjoining rooms. At the time, I knew that this was not an easy move for my parents. It was made even less smooth by the fact that the motel was on a major street, there were some sketchy activities going on during the day (definitely at night) and the manager---well, let's just say that many years later when I saw the movie "Psycho" I think I may actually have actually said, out loud, "You're kidding me with this, right?! And we LIVED there?!" So, I spent a lot of time drawing. It was a great escape. I barely spoke. I would turn the color of a radish if anyone dare speak to me. Other children scared the bejesus out of me and I spent a lot of time hiding from them. If there was a poster for awkward, I was the poster child they were looking for. No need to call Central Casting, here I am! I wish I had some of those early drawings of homes. 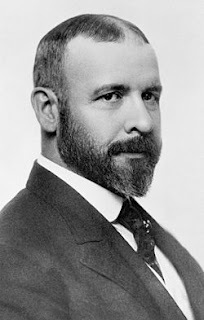 They were all one level and very much a poor man's/child-like Louis Sullivan. I didn't even know he existed at the time, but I was taken with those kinds of shapes. Years later when I discovered him I was convinced we had somehow met. Maybe my uncle's mother's stories of Johnny Carson speaking to her had rubbed off. Maybe it was just a chock full o' crazy. There were many times that I narrowly escaped being run over by passing cars, since every time I snuck down to Chicago I was busy looking upward at buildings. 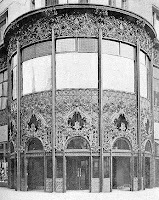 I even wound up working at the iconic Carson Pirie Scott & Co. building. 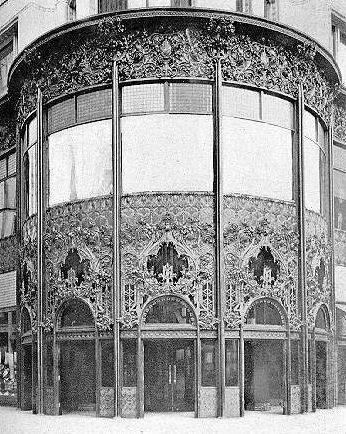 One of Sullivan's landmark projects. Lunch hours were spent roaming the secret hallways that shoppers didn't see, or marveling at the staircases, as seen below by photographer Richard Nickel. 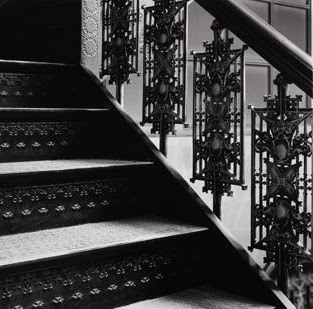 When the Ennis Collection came to be, it was born out of my architectural longings. I wanted an arm and silhouette that felt clean, sharp, tailored and simple. 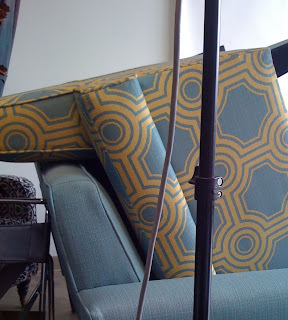 Adding fabric that can either enhance that, through crisp stripes or geometric shapes, OR fabric that plays against the upright architecture with organic/leafy lines, is an exciting layer to the process. Our homes should have the same play of straight lines, versus organic shapes--well thought out spacing along with casual/effortless details. It's these types of combinations that compliment each other in such memorable ways. WOW, Angelo! An incredible story! Thanks so much for sharing. I am examining my own love for design as a child. I DO come up with the memory of creating rooms in the dirt, drawing floor plans for each space and arranging make shift furniture for the rooms to play in. It's a wonderful thing to discover your true niche in life and follow your passions. Thanks for the inspiration! Love your work. What a great, touching, funny, inspiring story! I love it. Thank you for sharing and I look forward to seeing your continued progress. 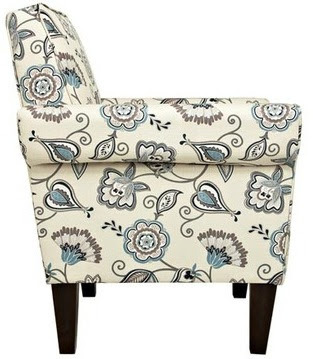 Oh, BTW I love the floral print on that chair. Very smart combination. It's gorgeous! Thank you for sharing this story Angelo. A wonderful tribute to the hardwork, and often sacrifices we make to get where we are. I really like your writing style. You combine an intimacy with humor with great results. You're straighforward with no self-pity or over-sentimenality. Refreshing! Thank you for sharing yourself with us. I absolutely love your last sentence.